Today, the OTC Markets are heading down in the first hours of the trading session, while the benchmark US indexes are rallying after their longest series of negative sessions since the start of the year. Currently the OTCM ADR index is down 0.48% at 1,437.18. Today, one of the most notable penny stocks on the Pink Sheets market is PCGX, which exploded up in trading after a last-minute market awareness campaign hit the market. Virtual Sourcing, Inc. (PGCX) – PCGX stock price and volume went skywards today after a massive promotional campaign surprised market speculators at the beginning of the trading session. The campaign has attracted significant attention towards PGCX stock as it has already generated a trading volume 70 times higher than the monthly average. Currently shares of PGCX stock are trading 200% higher at $0.48 per share on a higher than average volume of 740 thousand. So far the trade value of all 377 trades registered since the start of the trading session has been estimated at $352 thousand which makes PGCX one of the most actively traded penny stocks on the Pink Sheets Markets. Enservco Corp. (ENSV) – ENSV is currently experiencing higher trading activity than usual although at this stage it is not clear whether the trading volume is dominated by buyers or sellers. Currently shares of ENSV stock are trading 0.80% lower at $1.24 per share on a significantly higher than average volume of 460 thousand. ENSV stock has not received any fundamental support since last week, so at present it looks like the stock is being driven by technical factors. In other words, ENSV has been correcting in the last couple of trading sessions, after ENSV hit a 52-week high on Aug 13 at $1.60 per share. The correction has been enhanced by the overall market mood during the past week. The 52-week high was hit by ENSV after the company announced in a press release that second quarter revenue had increased 44% to $7.9 million. Vuzix Corp (VUZI) – Today investors seem more inclined to take profits from VUZI stock after yesterday’s strong bullish spike. On the last trading session VUZI soared 19% to $2.26 per share on a ten times higher than average volume of 540 thousand. The surge came out of nowhere as the last time VUZI stock received fundamental support from the company was on Aug 13 when the formal closing of a recent public offering and debt restructuring were announced. Since then, there have been no other press releases issued by the company, so investors were surprised when yesterday VUZI skyrocketed out of the blue. At present, however, shares of VUZI stock are trading 3% lower at $2.20 per share on a higher than average volume of 212 thousand. Wild Craze, Inc. (WILD) – The recently initiated promotion on WILD has been one of the most speculative marketing awareness campaigns on the OTC Markets since the start of the month. The promotion began on Aug 14 and from then till the last closing bell WILD stock went up from $0.35 to $0.56 per share. Today, however, the campaign, which according to online databases had cost at least $800,000, has turned its negative side and since the start of the trading session, in what appears to be a large-scale dumping of shares, WILD has wiped out most of the gains achieved since the promotion. Currently shares of WILD stock are trading 22% lower at $0.43 per share on a higher than average volume of 1 million. The value of all the trades registered since the start of the trading session has already exceeded $500 thousand, which makes WILD one of the most actively traded penny stocks on the OTCQB market today. 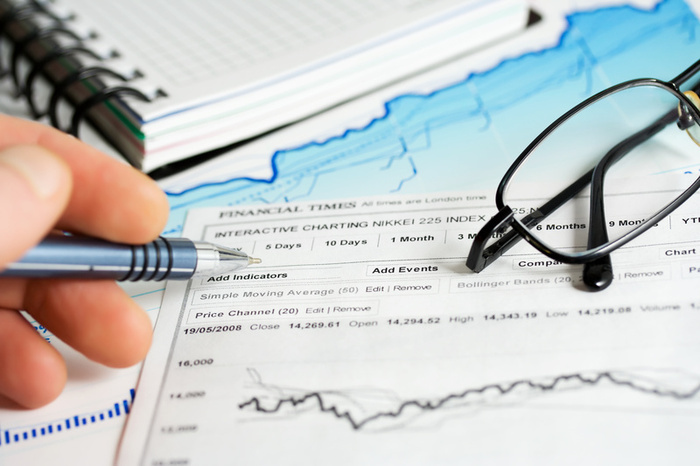 ImageWare Systems, Inc. (IWSY) – Most of the market movers on the OTC Markets today are in bearish mode, and at the moment this is how we can describe the situation with IWSY. Shares of IWSY stock are trading 8% lower at $2.24 per share on a lower than average volume of 320 thousand. It looks like IWSY is struggling under the general negative impulse on the OTC markets today, so the stock has dropped down as far as its 50-day moving average. At the moment the stock is trying not to breach below this technical level, as it may further aggravate the selling pressure which is currently troubling IWSY.